“Craig’s new book is a gem and I enthusiastically recommend it to you. Craig has chosen an outstanding topic and interviewed leaders from a wide variety of domains about their musical backgrounds. Music does indeed matter…and Craig shows the way. 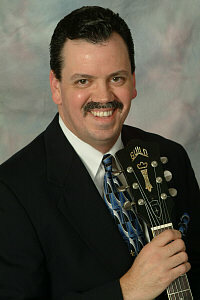 I remain particularly impressed because Craig walks this walk…he is himself a musician and composer. 15 Heart Medications or Music – Which is More Powerful? CBS News’ Assignment America did an amazing story Friday on Andy Mackie, a 70-year old man who believes in the power of music. After 9 heart surgeries, doctors had prescribed 15 medications. One day he tired of the medications and decided to buy 300 harmonicas and lessons for school children with the money he would have spent on medicine. He thought it was the last thing he’d ever do. Eleven years and 13,000 harmonicas later, Andy is still going strong. “I guess they don’t need a harmonica player in heaven yet,” says Mackie, a retired horse trainer who lives a modest life in a trailer in upstate Washington. On of the great skills required in the 21st century business world is the ability to combine ideas in ways that create synergy. I’d like to thank a friend who introduced me to Equestrian Angels and thought perhaps combining music and animals would bring joy to the lives of others. The attached photo collage is from our visit with some special needs children at Marie Riviere school in Metairie, LA. 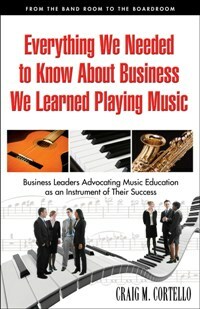 I gave a presentation to the Cortana Kiwanis Club of Baton Rouge, LA last week regarding the content of my upcoming book, Everything We Needed to Know About Business, We Learned Playing Music and the lessons of a music education that apply to the world of business. After the presentation, one of the members of the club asked for a show of hands of how many members of this community service oriented business professional group had some type of musical background. It seemed to me that about 50-60% of the members raised their hands. John Snyder, Coordinator of Music Industry Studies at Loyola University in New Orleans, launched a website a few years ago to serve as a resource for music industry professionals. ArtistsHousMusic.org was also launched with support from Herb Alpert, legendary recording artist and co-founder of A&M Records. The website contains a wealth of interesting and educational content, much of it video-based for those of you who would rather watch than read. As a strong advocate for the benefits of music education, I find some recent statistics from the Center on Education Policy disturbing. Since the implementation of the No Child Left Behind it seems that schools are allocating more time to math and English at the expense of other subjects due to pressures to demonstrate results on standardized tests. Yet I have found in my research that music education has a tendency to keep students involved who don’t feel part of the mainstream, wouldn’t ordinarily be interested in school, or who might have dropped out altogether. In short, we are cutting back on the programs that actually keep children from being left behind. Oh, the irony. More on this topic in the weeks ahead, but you can follow this link to read the press release of the CEP’s findings. It seems that vinyl albums are popping up in stores again these days. Indeed, I’ve heard from audiofiles that they prefer vinyl because although CD’s are a cleaner sound in terms of background noise, vinyl has a warmer feel and sound – Like you’re in the studio with the musicians when they were recording. There were also aspects of the physical nature of the large album cover, photos or posters that were often included, and inserts or extensive liner notes that often accompanied vinyl albums.